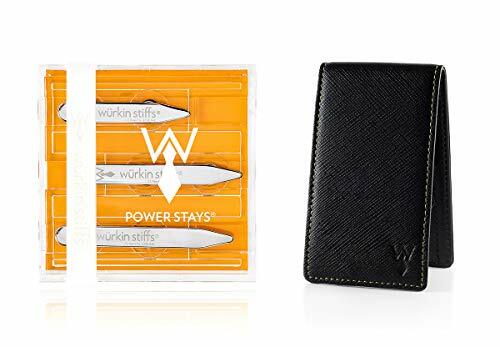 Keep your Power Stays safe and secure in this discreet travel case. Bundle with your favorite size Power Stays and save Power Stays transform every collared shirt into a hidden button down. Never have a "fly-away collar" ever again. Simply put the magnetic collar stay into the collar as you would normally, flip your collar down, and secure by placing each magnet underneath the shirt, between the skin and the shirt. If you have any questions about this product by Wurkin Stiffs, contact us by completing and submitting the form below. If you are looking for a specif part number, please include it with your message.